In this workshop participants will be introduced to Newfoundland and Labrador’s tradition of Spruce Root Basket Making. We will share the techniques and methods practiced by our ancestors. Each participant will explore the natural surroundings, identifying, digging, foraging and harvesting the necessary roots and branches required to create their own Spruce Root Basket. This course is designed for the novice weaver and will delight those who enjoy the outdoors and our natural environment. Come prepared for all kinds of weather as we will spend some time outside. The goal of this course is to have each craftsperson construct their own unique Spruce Root Woven Basket and to gain an appreciation for the skills and knowledge which is needed to produce such an astonishing keepsake. Spruce root is a fantastic lashing material. Spruce has a good strength to weight ratio, and is quite pliable when wet. When harvested mindfully, spruce root is a nifty sustainable fiber. 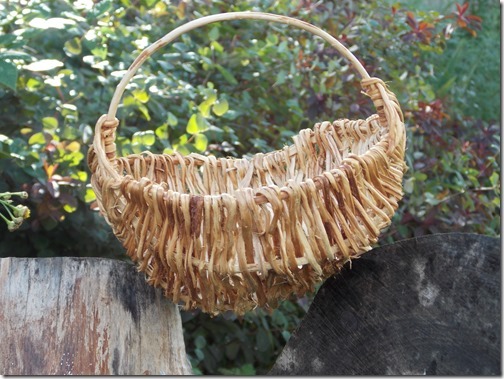 I have been sharing my knowledge of making traditional spruce root baskets since 1980. This incredible craft was on the brink of vanishing when Anthony White from Shallop Cove on the Port au Port Peninsula, taught a few young students his ancestral techniques of basketry. I was a very enthusiastic apprentice and continue to pay tribute to Anthony by passing on this tradition and his legacy. My background is in Art Education and my passion for traditional Newfoundland and Labrador Crafts is endless. 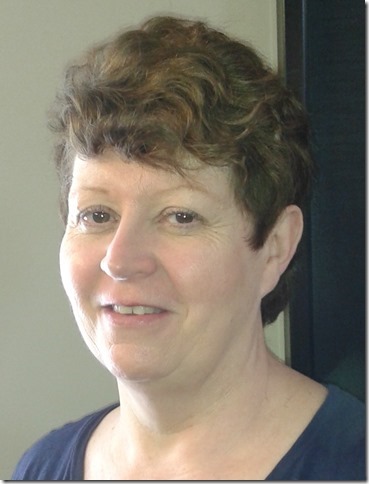 I am a graduate of Nova Scotia College of Art and Design and have a Masters in Literacy from Mount Saint Vincent. Newfoundland and Labrador have given me an amazing life experience! Awaking each day beside the Bay of Islands and next to the incredible beauty of the Humber Valley gives me a deep appreciation for our rural lifestyle. Our customs and traditions, handed down from generation to generation, weave a story that is unique to our province and our people. Hardships of everyday routines and labour were solved by our ancestor’s needs and ingenuity. Constructing vessels or baskets from Newfoundland’s personal warehouse of natural materials such as roots, branches and fibre is truly addictive. Artisans, who have been swept up in this soulful journey, recall many years later the euphoria of digging their first roots, as well as nature’s own sensations of give and take. This phenomena is one of the reasons I feel so strongly connected to this ancient craft. Occurrences, like these, that shout nature’s brilliance need to be witnessed, respected and enjoyed! Spruce Root Baskets provide visual evidence of nature’s elusive stories and become treasured keepsakes for each artisan or creator.